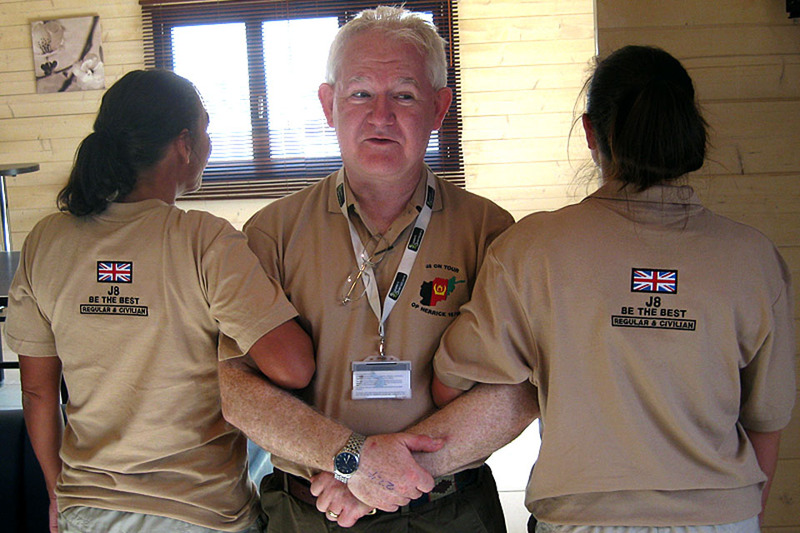 Alan Lawson is a seasoned volunteer with MOD's civilian 'Support to Operations' programme. 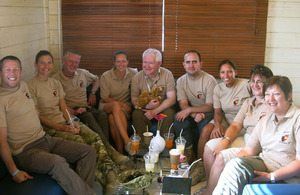 Here he talks to Shell Daruwala about his latest deployment as a Civil Secretary in Afghanistan. Ex-soldier Alan Lawson swapped the Army for marriage, but with five of the past 10 Christmases spent supporting operations overseas as a MOD civilian, his wife is far from impressed. I’d probably still be in the Army now if I hadn’t been married,” he sighs. “We came to an agreement that I would come out and get a real day job, then she’d marry me, but I could ‘play TA [Territorial Army]’ at weekends. Alan, who works in a Permanent Joint Headquarters J8 (Finance and Human Resources) role at Northwood, had his first taste of supporting operations as a civilian when he was commandeered to be a policy advisor (PolAd) in Iraq while deployed there as a reservist. Relishing the experience, he quickly volunteered to deploy again. There are three main parts to the job,” explains Alan. “Regularity and propriety - to make sure finance is done properly, that people consider it and take it seriously. You name it, the commercial team will find it and buy it,” says Alan. “We have bought some very peculiar things over the last year, ranging from flags to drape over coffins for dead Afghan warriors to traditional bread for the locals, who find our Western bread to be indigestible - all sorts of strange things. The CivSec’s third role is looking after people. It’s a huge line management responsibility in a highly pressured environment. At any one time there are some 200 MOD civilians, 400-a-year, working, eating and, when they get the chance, relaxing, side-by-side, day-in-day-out for an average six months at a time. With a range of personalities, each with their own problems, brought together in the confines of the base, it’s easy to see how pressures can build. If there’s someone who rubs you up the wrong way, and inevitably there will be (and bear in mind it might be you who’s unwittingly doing the rubbing), it could change the whole dynamic of a tour for the others. It’s extremely rewarding, and it’s just good fun,” he beams. The major challenge is tiredness,” says Alan. “You’re there for six months and people say ‘what do you do on your day off?’ Well there’s no day off. There’s usually something different every day, which makes life interesting, but it’s just sheer hard work. And he thrives on it. You’re among the uniforms and guns and it feels like there’s thousands of people carrying loaded weapons around you 24-hours-a-day - it’s something that takes getting used to,” and that’s coming from an ex-soldier. Working with the military system you’ve got to prove yourself straight away,” continues Alan. “You’ve got to be good and you’ve got to show that you’re good. If you can stand your ground, if you can do your job, you’ll be fine. If you’re not adding value you’ll be ignored. Which seems fair enough - in an operational theatre there’s no time to muck about. MOD civil servants will generally deploy on the same terms and conditions as their military colleagues: six-month tours, two weeks ‘rest and recuperation’ in the middle, flying out from and returning to Brize Norton on the same troopers, living in the same accommodation, and eating the same food. 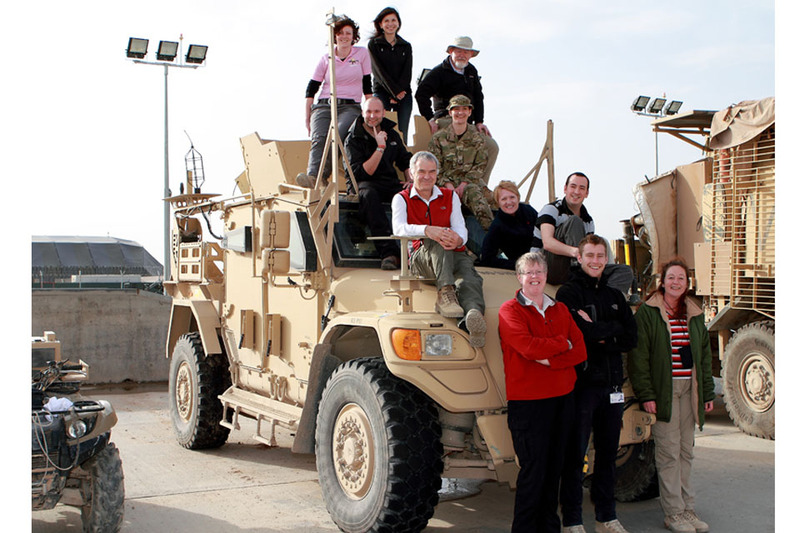 A civilian adviser can be someone the commander is comfortable bouncing ideas off, can have a quiet conversation with, but they are not military and that can sometimes make an awful lot of difference,” says Alan. So there are a lot of things that we bring to the party,” says Alan. There might be an occasion when a PolAd would be going out with their brigadier or with their general,” says Alan. “We weigh the risks up. We wouldn’t do anything stupid,” he smiles. You do pre-deployment training and a lot of assessments happen before you go. You get briefed, you get trained, you get first aid training, you’ve got the body armour and the helmet, so you’re pretty well tooled up. You know what you’re letting yourself in for. ‘Serial tourists’ they call them,” says chief ‘serial tourist’ Alan. “Having done it once, realising what fun it is, they’ll have another go. You’re working very hard, but you’re doing a worthwhile job, and it really is rewarding. This interview by Shell Daruwala appears in the November 2012 issue of Defence Focus magazine - for everyone in Defence.